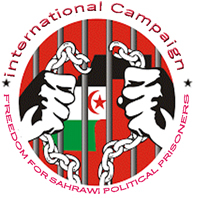 Pretoria (South Africa), March 25, 2019 (SPS) - President of the Republic, Secretary General of the Frente POLISARIO, Brahim Ghali, arrived Sunday evening in South Africa to take part in the SADC Conference of Solidarity with the Sahrawi people, organized from 25 to 26 March, at the headquarters of the Ministry of Foreign Affairs and Cooperation of South Africa. The President of the Republic was received at Waterloo airport by Deputy Foreign Minister of the Republic of South Africa, Mr. Luilin Tyrone Landers, as well as SADR Ambassador to South Africa, Bachir Al-Saghir, and Pan-African MP Saeed Joumani. The President of the Republic is accompanied by a delegation including the Minister of Foreign Affairs, Mohamed-Salem Ould-Salek, Councilor to Ministry of Foreign Affairs, Mohamed-Yeslem Beissat, Secretary General of General Union of Workers, Salama Bachir , Secretary General of Sahrawi Students Union, Moulay Mohamed, Secretary General Women Union, Aminetou Larabass, Secretary General of Youth Union, Mohamed Saeed Dadi, UNFS former Secretary General of Women Union, Fatma Mehdi, and Councilor to Presidency, Abdati Breika.